CUCET South Bihar 2019 Application filing date has been extended till 20th April 2019. The Central University of South Bihar is a private University which was established in the year 2009. 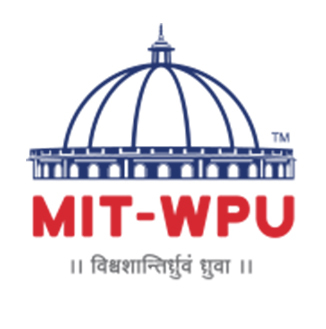 It offers admission in the various course of UG Courses- B.A., B.Ed., B.Sc., B. Voc., and PG Courses- M.Sc, MA, M.Tech, M.Ed etc. 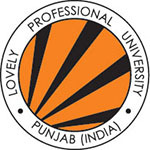 University is affiliated by the University Grant Commission(UGC). CUCET South Bihar 2019 Exam Date has been Announced now. The Exam will be Held on 25th May & 26th May 2019. Candidate should go through this article for more information on Central University of South Bihar 2019 registration including Application Form, Fees, Eligibility Criteria, Exams Dates, and How to apply. CUCET South Bihar 2019 Application filing date has been extended till 20th April 2019. Click Here to Check Apply Online. 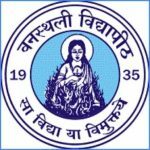 CUCET South Bihar 2019 Exam Date has been Announced now. The Exam will be Held on 25th May & 26th May 2019. Click Here to Check Exam Date Details. Here, University has provided the tentative exam schedule for the Central University of South Bihar entrance exam 2018. Exam dates are given of important events like online application form Registration Dates and Admit Cards Availability etc. Candidates want admission to having to fill application on the official website of Central University of South Bihar 2019. Through online mode, candidates can fill the form. No correction facility will be provided later on Bottom of Form so make sure don’t make mistakes in form. CUCET South Bihar 2019 Application filing date has been extended till 20th April 2019. Candidates can get the Central University of South Bihar Application Form 2019 which is available on the official website. candidates have to keep documents like acknowledgement slip, photocopy of the application form, the copy of Character Certificate and fee payment Challan, passport size photographs, the copy of Provisional Certificate, DOB Certificate. Candidate’s needs to check the complete Central University of South Bihar 2019 eligibility criteria prescribed by the university. Before applying check whether you are capable to apply for admission or not. Central University of South Bihar 2019eligibility criteria will be varied for different universities so check it from the official website of the participating central University. Candidates can check the basic eligibility norms below in the points. Nationality: Indian nationals can apply for the exam. UG Courses Candidates must have passed the 12th examination from a recognized school to get admission in the Bachelor’s degree programme in the Central Universities. PG Courses Should possess a Bachelor’s degree in the relevant field from a recognized University. Appearing students: Candidates appearing in the qualifying examination can also apply. However, they have to produce the mark sheet/degree about their fulfilling the eligibility criteria at the time of admission counselling. Failing in which, their admission will be cancelled. Candidates applying have to fill all details as per the guidelines are given in the information bulletin. The applicant can get admission in the Central University of South Bihar through online with GATE/ CUCET on the respective official websites before the last date of acceptance. Candidates have to follow the below instructed provided to fill the application steps by steps. The candidates can obtain the prospectus and application form from the college campus or download the same from the official website of the college under the Admission tab cusb.ac.in. Fill the application form correctly by mentioned the course of choice. Affix the passport sized photograph on the designated place in the application form. Submit the application form along with the aforementioned documents at the admission office of the university. The fee is to be paid either through the online portal of SBI Collect OR through Demand Draft in favour of Registrar, “The Central University of South Bihar”, payable at Patna. Note – The candidates must bring the original documents along at the time of admission. If you have any other Questions related to Central University of South Bihar 2019 Application Form, you may ask your Queries by commenting below.